Coparenting refers to the support parents bring to each other when rearing a child. Supportive coparenting ensures cohesiveness of the family, which is linked with child outcomes. Little is known, however, about the coparental relationship in stepfamilies between the custodial parent, usually the mother, and the new partner, and how it compares to coparenting with the father. 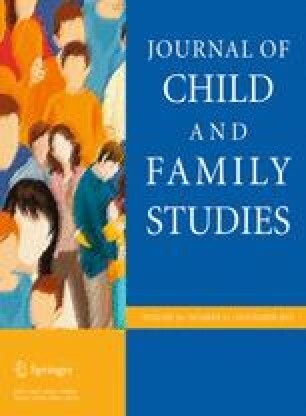 This study addressed mother-reported coparenting in stepfamilies and also compared it with that in first-marriage families. Three dimensions of coparenting were considered: family integrity, disparagement, and conflict. Mothers (N = 300) completed questionnaires on their coparenting relationship with the father and with the partner, marital satisfaction, and attachment. Half the mothers were living in a stepfamily with a child between 5 and 13 years old from a previous marriage, and half in a first-marriage family. The main results show that (a) mothers promote family integrity in stepfamilies either with the partner, or with the father, but not with both; (b) the older the child, the less the mothers reported integrity with the father in both families, and the more they reported disparagement against the partner and conflict with the partner in stepfamilies; and (c) maternal marital satisfaction is linked with all dimensions of coparenting with the father in first-marriage families, but only with disparagement against the partner and conflict with the partner in stepfamilies. Overall, coparenting has similar characteristics in both types of families, but also presents differences that should be considered when working with parents who are committed to a new relationship. This research was supported by the Swiss National Science Foundation, Grant 100015_122413.